In person or phone/distance sessions. Phase I ~ Wisdom & Emotions * Balance the Head and the Heart. Phase II ~ Self Direction and Support * Clear old energy patterns. 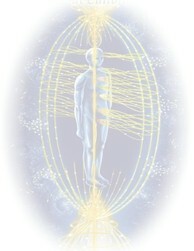 Phase III ~ Radiate Core Energy * Be empowered in the NOW. Phase IV ~ Energetic Accomplishment * Create your future potential. Visit my website for more information about the EMF Balancing Technique® or to schedule an appointment.